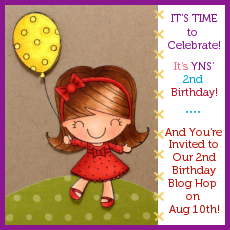 Your Next Stamp's 2nd Birthday Blog Hop!!! I had to make a birthday card, and I used one of my very favorite sets called Ellie Loves to Bake. Isn't she just the cutest?! I used some My Mind's Eye Lime Twist Happy Go Lucky dp and computer generated the sentiment. The number 2 is a PTI die. Next I have one of the brand new images called Just Sitting Here~ACK so CUTE!!! Doesn't he just make you smile? I used some My Mind's Eye Lime Twist Fly A Kite dp, and the sentiment comes with the image. There are also lots of amazing deals right now in the YNS store to celebrate and you don't need any code! The next stop on the hop is Cindy Haffner's Blog! Good luck and happy hopping! I always know when I stop by your blog that there will be some wonderful eye candy. 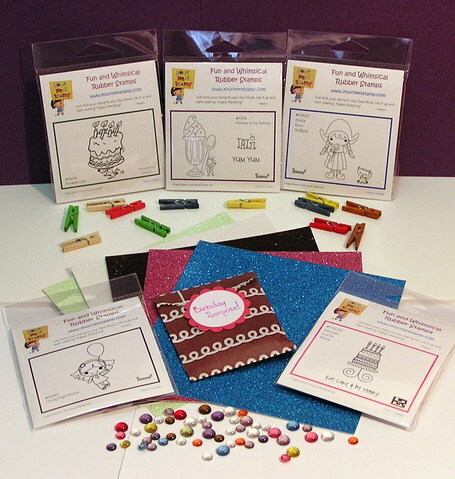 Today is no exception :>) Great cards Kerri, fab coloring and your PP choices are always spot on!!! Awww thanks Kerri! You are the SWEETEST!!! I LOVE working with you and drooling over your fabulous YNS creations! Your cards are so adorbale! Baking Ellie looks like she is mixing up something really yummy and that little bug totally makes me smile! Such cute cards! I love that little ladybug! Lovely cards! I love those PTI dies! Girl you never cease to amaze me with your talent!! Both cards are so adorable!! The ladybug is absolutely darling!! Super cute...I think I may have to borrow that layout design. The papers you used to layer the Ellie loves to bake card are absolutely gorgeous! And I love the stitching as well! Your second card is fantastic as well! I like how the first card has a ton of color, but this one focuses on the 3 main colors, well, 4 including white. Very creative! love the ladybug image, and both of your cards are awesome. Everytime I see a YNS image on your blog, I think to myself, "Oooh... I need to get that one, too..." You've cost me a lot of money, my dear! Today is no exception! :) Wonderful! 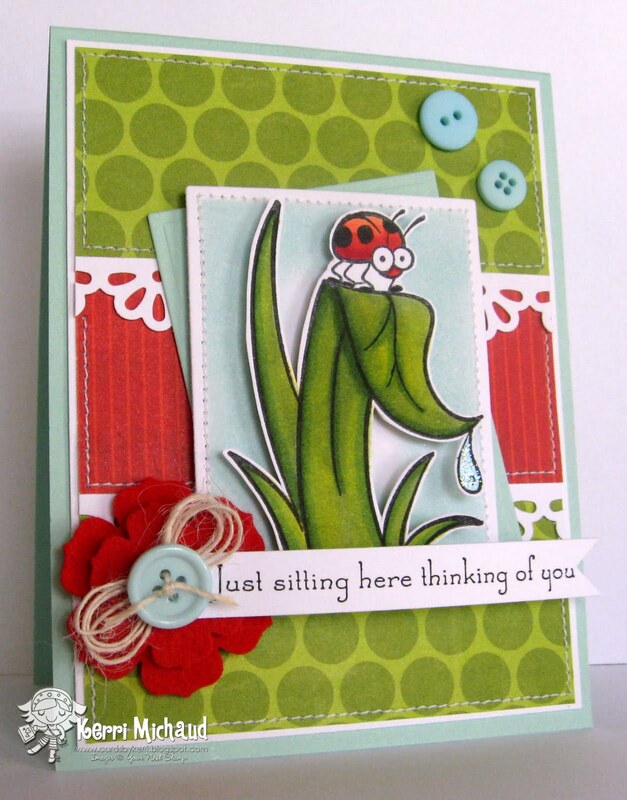 Gorgeous patterns and colors on your first card and I adore how you added the '2' - ADORABLE! I can't say enough about your second card. I LOVE LOVE LOVE it. The colors are perfect, the flower and buttons, the pattern you picked, all of it - super awesome card. (innocently right clicks image, selects 'save image as' and saving to my favs folder lol). your cards are so super-sweet and delicious! Love both your cards. So cute!!! Both are just too cute! Love the ladybug!! So cute. I love the ladybug. Super cute! I love the sentiment with the bug image. These are both 2 cute! 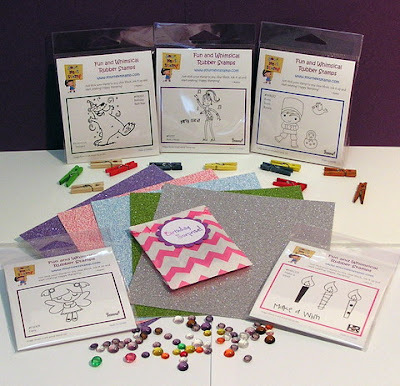 Love your coloring and paper choices! Ellie loves to Bake is one of my favourites and the Sitting there bug is a cutie! WOOOHOOO these are TOTALLY ADORABLE Kerri, I LOVE the number two with miss Ellie!!!! FABULOUS cards sweetie! these are just adorable! i LOVE your birthday card- such fun colors & papers & that little buggaboo hanging out on her leaf is just too cute!! Both cards are so cute and, as always, beautiful! Luv your cards - both are so pretty...great layout too! Kerri. these cards are fantastic! The lady bug card is gorgeous & beyond I had such a pleasure working along side you this past year! Okay, first I have to pick my jaw up.....You knocked it out of the park with your cards!! Two cuties! I'm lovin that little bug!! Super sweet cards. I love that Ladybug card. Gorgeous, Kerri! I especially love that image on your second card.